Campers, ages 11 to 13, are catching and counting horse flies at the Wellfleet Bay Audubon Sanctuary in Wellfleet, MA since the week of July 17th. These sixth through eighth graders are the oldest campers at the Sanctuary which has run a day camp for 60 years. These campers are in the Ecology science program, which offers inquiry-based activities, research, and ecological management to the 12-18 children participating each week. One of their assignments is to assist Bite-Lite in testing its H-Traps with two experimental lures, which have the potential to be marketed. 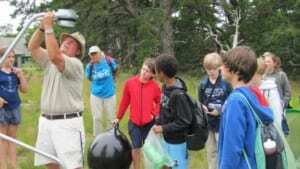 After conferring with staff members at the Sanctuary during the spring about the viability of such a project, Bite-Lite created a scientific protocol for collecting data that the campers, counselors, and scientist Mark Faherty would follow. Bite-Lite donated three horse fly traps, three extra collection bins, and two experimental lures for conducting the project. 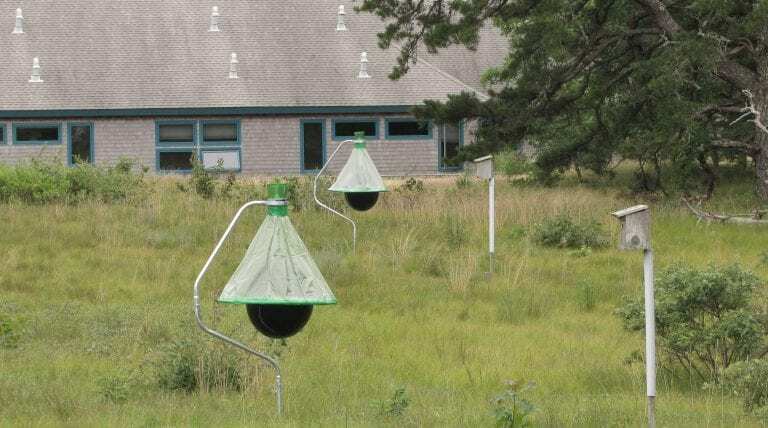 For the campers and counselors, the first phase began with choosing the ideal sunny location where horse flies are prevalent at the sanctuary, building the three traps with the help of property manager James Nielson, and setting them at least 60 feet apart from each other. In order to make sure the traps were located in the perfect location to catch horse flies, the campers began one rotation without the lures. In the first five days, the campers counted and recorded 1200 horse flies in three traps, and knew they had the right placement! 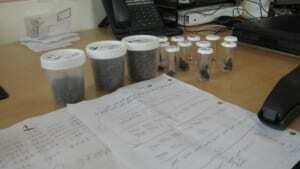 Seven species of tabanids and other flies were identified. To account for positional site bias, the campers will conduct three rotations and three repetitions through the end of camp. Each rotation will occur in a uniform number of days by moving the control trap (no bait) and the two other traps (with bait) into different positions after each count. The results for the first rotation with lures are now in after seven days. The three traps caught an amazing amount of flies- nearly 4000 in total. The control without a lure caught 420 flies; lure #1 caught 1161 and lure #2 caught nearly double that amount! While the older campers are enjoying the experiment, visitors and younger campers have been intrigued by the “space alien looking contraptions” seen near the Visitor’s Center and identified in the Sanctuary’s blog on July 20th.